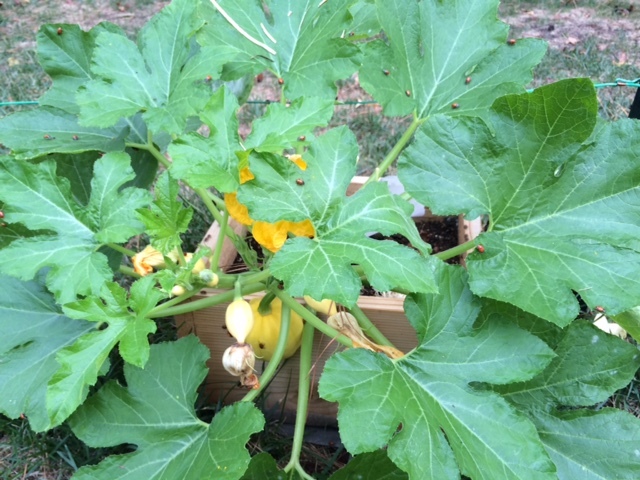 I planted a second run of squash and zucchini in early August and they are faring much better against squash vine borers and squash bugs but two of the plants, the acorn and spaghetti squash have an aphid problem. I have used ladybugs on an indoor aphid infestation before with excellent results. The ladybugs did not explore the house but stayed at the all you can eat buffet of aphids on my indoor spinach and lettuce. Within a few days the greens were completely aphid free and the ladybugs died off as their food dwindled, but not before starting a second generation. 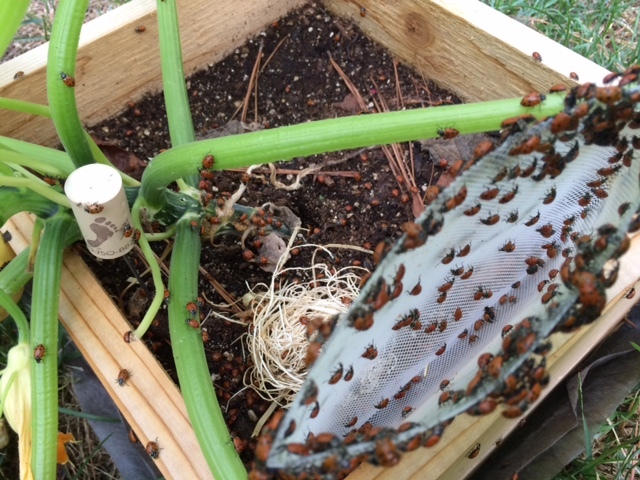 In the cool of this overcast morning I released 1,500 ladybugs on my squash, with the heaviest concentration on the acorn and spaghetti. 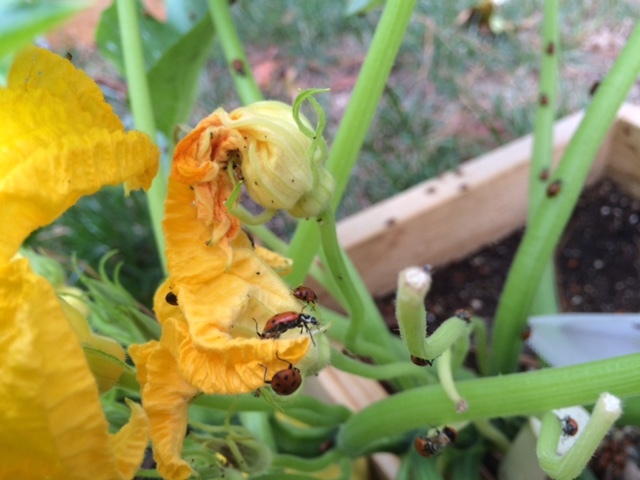 The ladybugs fanned out over the squash plant, honing in on the aphid colonies which seem to like gumming up unopened blossoms in particular. This entry was posted in Acorn Squash, Aphids, Backyard Gardening, Ladybugs, Organic, Spaghetti Squash, Square Foot Gardening, Urban Farming. Bookmark the permalink.